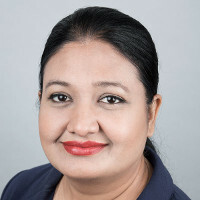 Dr. Shalini Gupta joined USC in August 2016 as a Lecturer. She has received her Ph.D. degree from the University of Texas. Her research interests include Supply Chain Management, Six Sigma and Lean Processes, Logistics Management, Production and Inventory Control Management, Facilities Management, Warehouse Management, RFID and Auto-ID Technologies. Dr. Shalini Gupta was a recipient of STEM Fellowship and Carrizo Oil and Gas Fellowship.